response from property - Feb 27, 2019 Thank you Josh for taking the time out of your busy day and post this 5 star review. Pretty good for apartmentssubmitted by Mark H. - Feb 01, 2019 |Recommended: YesI'm in what I presume to be a non-updated unit, so fixtures are mostly old, walls and doors painted over many times, so it could use some work but that's expected in an older unit. Maybe I just have quiet neighbors, but rarely hear much. I'm in downstairs unit, so can hear movement upstairs sometimes, floor squeaks. But overall it's pretty good. Maintenance has been great so far responding to requests, some things needed work on move-in. Friendly staff is very helpful so far. Biggest downside is no washer dryer in unit, but knew that going in. response from property - Feb 11, 2019 Hi Mark, We're thrilled to read this review of Orchard Park! Your feedback is very valuable to us, and it's great to hear where we can improve. We'll keep working to make it an even better place to live! Great place to live.submitted by Bruce W. - Dec 30, 2018 |Recommended: YesIt is a very nice place to live. It is in a very good location. You have multiple stores near by. Satisfiedsubmitted by Jasmine G. - Nov 07, 2018 |Recommended: YesIt's a nice, decent place to love. However, the rent goes up every year. That's my only issue. Nice Propertysubmitted by Jacquelyn F. - Nov 02, 2018 |Recommended: YesThe location is convenient and the rent is affordable. response from property - Nov 07, 2018 Thanks for the five-star rating, Milagros! It's our pleasure to provide our residents with exceptional customer service. A pretty good place to livesubmitted by Charles H. - Sep 24, 2018 |Recommended: YesI really appreciate they Community For giving me a opportunity to enjoy my own home it's a pretty nice apartment and I can't really hear my neighbors. response from property - Nov 07, 2018 Hi Charles! We're thrilled to read this review of Orchard Park! As a longtime resident of our community, your feedback is very valuable to us, and it's great to hear that you're happy with your stay. We'll keep working to make it an even better place to live! Very Clean and quiet.submitted by Valeriana B. - Sep 05, 2018 |Recommended: YesI liked my experience here. The maintenance men are very professional and they come out as quickly as they can. The grounds are clean and the place is quiet all year round. Reviewsubmitted by Ashley H. - Aug 31, 2018 |Recommended: YesI live on the second floor and I can hear the kids of my neighbors downstairs running all night and banging on the walls. Parking is on first come first serve basis. The availability isn't horrible but at times you cannot park close enough to your house depending on the time. The apartment that I am in now is old. I ve been learning that as they come to fix certain things but I needed a place as soon as possible. So it's not bad. It's a roof over your head. The school district is good. response from property - Sep 10, 2018 Ashley, We're sorry to hear about this. It's important to us that our residents are happy and comfortable in their homes, so please give us a call or stop by the office and we discuss you options of a transfer to one of our Renovated Apartment Homes. Thank you for sharing this feedback.  Commentssubmitted by Dieubon M. - Aug 22, 2018 |Recommended: Yes' Thank u for all the the great service while we live at Orchard park Apartment .me in my family we had a very nice Experience Specially with the Staff .. i was in Apt 51 .. very friendly community... I want to thank thank Christina the Manager With the Beautiful Job She's Doing .. Always Friendly when i go to the office ..Service is always Prompt and efficient .. I always brag on how nice it is to live at ..AION -MGMT ORCHARD PARK .. APARTMENT ..BECAUSE OF THE FRIENDLY STAFF , Because grounds , proximity to Shopping and maintenance Thanks my name is Merice .. thank u..
response from property - Aug 23, 2018 Thanks for this five-star rating and wonderful comment, Merice! We're glad you enjoy living at Orchard Park! !